Best Travel Backpacks for Women: Rated + Reviewed – Discoveries Of. A well-designed and useful travel backpack is an essential piece of travel gear. Looking for a new travel backpack? I’ve rated and reviewed the best travel backpacks for women – read before you buy. Which are the Best Travel Backpacks for Women? Aircontact 60 + 10 is our choice of overall best travel backpack for women due to its outstanding comfort and ability to adjust to all back lengths. Offering up to 70 litres of storage capacity this is a big bag capable of carrying a lot of weight, so comfort and fit are paramount. The key to this backpack’s comfort is Deuter’s unique, and very clever Active Contact Fit system. This allows the pack and its weight to sit as close as possible to your body. This pack never feels too hot and sweaty either. That’s thanks to the Aircontact foam, which has a hollow core to pump cooling air through the padding as you move. Finally, the Vari Quick system allows the Aircontact 60 + 10 to adjust to suit any back length. So, it’s one of the most comfortable backpacks, but what other features does the Aircontact offer? First up, those all-important openings – the Aircontact features a large front opening, as well as a separate, bottom opening, allowing you to split your load with easy access. I was also a big fan of the internal stretch pocket specifically designed for carrying wet or sweaty clothes. Because no matter how pristine you try and stay while you are on the road, you will always end up a hot and sweaty mess at some point along the way. Some of the other features I loved included the Streamer hydration pack compatibility, the internal valuables pocket and the integrated rain cover. The Aircontact also comes with hiking pole attachments, great for long distance trails such as the W-Trail in the Torres Del Paine. So there you have it, in a nutshell the Deuter Aircontact 60 +10 is our best women’s travel backpack. Large enough, packed with great features and easily accessible with outstanding comfort and fit. Although not strictly only a carry on backpack, the Standard Luggage Co. Carry On Bag is my choice for the best carry on backpack for women for its sheer versatility. Able to be used as a holdall, cross-body or a backpack, this is a great option as a women’s backpack for travelling – particularly who don’t want to lose the easy portability of a backpack, but want something smarter than a typical pack. The guys at Standard Luggage Co. have gone to great lengths to design a bag which is super-practical, packed with features and great to look at. The bag is split into two main compartments, the front being large enough for a week’s worth of clothes with handy compression straps. The rear compartment is really useful with a detachable laptop bag, which makes trips through airport security a breeze. Size-wise, the Standard Luggage Co. carry on measures 21.5 x 13.5 x 7.5 inches (55 x 35 x 19 cm), so will comply with most airlines’ cabin baggage policies. The bag features two large front pockets and the large, main compartment features a number of smaller, handy zipped compartments. The rucksack straps are easily and neatly stowable, completing the transformation from backpack to smart carry-on. Each bag comes with a second set of handle pads and zipper-pulls in a different colour, allowing you to customise as you wish. A separate, detachable shoulder strap is also supplied if you prefer a cross-body bag too. The clever design and versatility of the Standard Luggage Co. Carry On makes it our pick as best carry on backpack – read my full review here. as my best small women’s backpack. It manages to strike the balance between practicality and great but understated looks. The Cragsmith, as its name suggests is actually primarily designed as a load-lugger for those seeking adventure in the mountains. However, its sleek, simple looks make it a great luggage choice too. The 45 litre capacity is at the lower end of what I would recommend for a long trip, but is a perfect for shorter trips and when you need to travel light. Because it is designed for carrying climbing and adventure gear, the Cragsmith is really tough. It also boasts great accessibility and is one of the most comfortable backpacks I tested. Its huge, u-shaped top lid gives quick and easy access to the upper section of the backpack and the entire back of the pack can be opened meaning packing and unpacking is a super-easy. Other features include full padding throughout (which means the pack retains its shape), external stretch pockets and great interior storage compartments. The highly breathable mesh shoulder straps and back panel, along with a nicely padded waist strap (with a pocket), give plenty of comfort, even for all day use. Constructed from 50% recycled 630 denier nylon with a water-repellent coating, the Cragsmith is just as resilient to airport baggage belts as it is rockfaces. Two sizes are available, S/M and L/XL, the smaller being perfect for women’s generally shorter backs. The tough build, superb access and smooth, understated looks are why the Patagonia Cragsmith 45 is my choice as best small women’s backpack. Sierra Designs Flex Capacitor is my recommendation as best women’s backpacking pack due to its ability to expand from 40 to 60 litres. There are a number of extendable backpacks on the market, but what singles out the Flex Capacitor is that it expands its circumference, not its height. This means that your load stays closer to your centre of gravity, giving better comfort and stability. So how does this clever system work? Sierra Designs have patented the gusseted expansion design which is easily adjusted using a series of quick-release straps. The gusset runs the entire height of the pack, so can expand equally and evenly. The expansion design does mean that this pack only has top access to the main compartment, a small price to pay for the versatility. Consider a set of packing cubes to make things easier to organise. The Flex Capacitor comes with a raft of neat features including stretch mesh side pockets, a water bottle holder on the right shoulder strap and a large storage pocket on each side of the hip belt. The ability to adapt its capacity means that the Flex Capacitor can carry all your gear to each destination and then shrink for use on hikes and shorter trips once you’re there. Conversely, it can allow you to some capacity for those souvenirs you may buy on your travels. There are two other reasons why the Sierra Designs Flex Capacitor is my pick as best women’s backpacking pack. Firstly, it is very lightweight, utilising an effective, but minimalist Y-Flex frame suspension system to keep weight down to only 2 lb 9 oz (1.16 kg). Secondly, the option to tailor its size to suit, offering two back sizes and four hip belt sizes means that whatever your shape or size, you can get a really comfortable fit. Vango Freedom II 60 + 20, my pick as the best front loading backpack. Combining a 60 litre main pack and a 20 litre daypack, the Freedom II is more a women’s backpack for travelling rather than hiking with discreet good looks and airport-friendly features. The main pack includes top and side handles as well as a flight cover to stow away the straps and hip belt. The removable daypack is perfect for day trips at your destination and is both laptop and hydration system compatible. 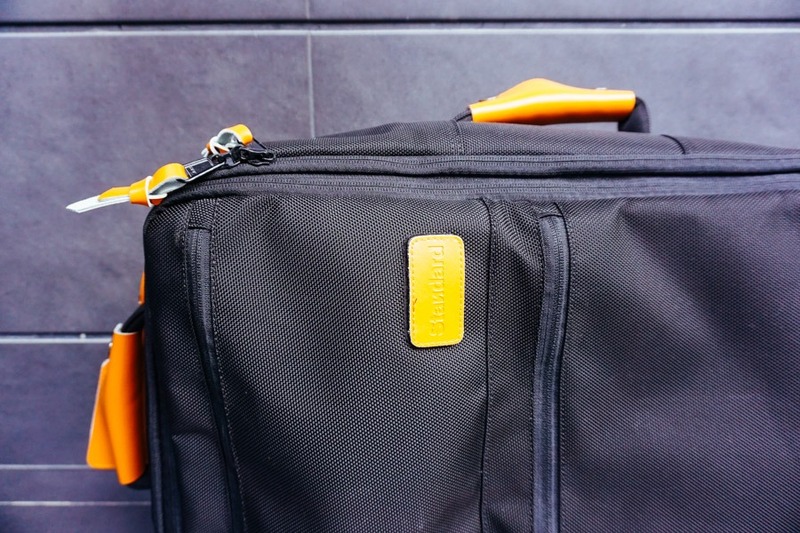 Internally, the main pack features a number of handy and useful strange compartments as well as high contrast compression straps to help keep the contents secure. Speaking of security, it also features paired zips which can be locked together to make unwanted access harder. The daypack attaches to the main pack using the main pack’s compression straps for security and stability. The main pack features a full-size front opening, giving suitcase-like access to the contents, yet the straps and back panel are well padded and ergonomic. This means that unlike some other travel-oriented packs, the Freedom II can be worn for extended periods quite comfortably. The Freedom II also benefits from Vango’s excellent Quick Adjust Back System, which uses a contoured alloy frame for load distribution with a webbing ladder arrangement for back length adjustment. This is great to tailor the backpack to suit your body type. Although clearly I love that huge front opening, what makes the Vango Freedom II 60 + 20 my pick as best front loading backpack is its versatility. It’s literally two packs in one. Enough travel-friendly features to make it feel less like a hiking pack, but still similar levels of comfort and fit. The best of several worlds. Okay, so style is a very personal thing and to be honest, when it comes to a longer trip, then function is much more important. Osprey market the Fairview 55 for ‘where wheels will not go’. Featuring a zip-away ventilated mesh back panel, the Fairview can be carried like a backpack but packed like a suitcase. Fairview’s backsystem gives a comfortable women’s specific fit, with an ergonomically shaped hip belt, shoulder straps and back panel. All this adds up to a pack you can comfortably carry for extended periods. I love the cushioned carry handles on the top and the sides. They’re great for lifting the pack on and off of luggage belts. The external compression straps are also used to attach and secure a 13L ‘zip and clip’ daypack, packed with storage features for your valuables, dual side pockets and a laptop sleeve. The daypack can also clip onto the front harness of the main pack, ‘kangaroo’ style. This is perfect when you want to keep your valuables, tickets etc. to hand. The main compartment features a mesh pocket ideal for separating dirty clothes and shoes. Internal compression straps fully maximise the capacity whilst ensuring your gear stays in place. Despite its more luggage-like focus, the Fairview 55 also features lower external straps, ideal for attaching a sleeping mat. So, sleek looks, suitcase-like practicality, a built in daypack and all-day comfort make the Osprey Fairview 55 the most stylish travel backpack for women. Osprey Aura AG 65 is my pick as best women’s hiking backpack. So, let’s take a look at the Aura AG’s harness in more detail. First up is Osprey’s unique suspended AG AntiGravity™ backsystem which features a seamless mesh construction with a hollow 3-D back panel allowing unrivalled air-flow. Next on the list are the superbly padded and ventilated shoulder straps with six contact points to spread the loading and stabilise the pack. Finally there’s that unique, fully ventilated hip belt. In addition to its extraordinary levels of comfort, the Aura AG is also packed with features to make your hiking trip easier to manage. The twin zipped front pockets, base zip and top-lid entry points mean that access to gear is quick and easy. Osprey’s Stow-on-the-Go™ trekking pole attachment allows access to your poles without removing your pack. A large sleeping bag base compartment with internal divider allows you to separate clothes from camping gear. The pack also features a built-in rain cover and is hydration pack compatible – both essentials for extended treks in changeable conditions. Finally we loved the detachable top cover, meaning you can keep valuables close even when your pack is out of sight. The combination of outstanding comfort, trail-friendly features and the women-specific design and sizing make the Osprey Aura AG 65 the best women’s hiking backpack. I also want to point out that although it’s a great hiking backpack, the Osprey Aura is generally an awesome women’s backpack for travelling and another winner in the most comfortable backpack stakes. A real all-rounder. is my choice of the best waterproof backpack for women because of its fit, comfort and wet-weather performance. The Ozonic 60 features a waterproof main compartment, which is achieved with a roll-down top-closure and a clever, detachable top compartment. This compartment can be reversed to better protect exposed seams from the elements as well as mounted on the front of the shoulder straps giving an easy access, separate pouch. This backpack is well suited to long treks and hikes thanks to its customisable suspension system which provides 3 inches (85 cm) of torso adjustment. This adjustability, combined with deeply-padded, multi-adjustable shoulder straps and waist belt meant I found it easy to get the pack sitting comfortably and stable. Mountain Hardwear’s HardWave back panel added further support and comfort. Storage features include two hip-belt pockets, stretch side pockets, perfectly placed for water bottles and a large, zipped front pocket. For longer treks and hikes, I loved the various pull-cords, straps and loops on the Ozonic 60, perfect for attaching hiking poles, sleeping mats etc. I chose this backpack primarily because of its fully waterproof main compartment, but the combination of this, plus the numerous other trekking-friendly features that make the Mountain Hardwear Women’s Ozonic 60 OutDry Backpack my choice of the best waterproof backpack for women. What Should I Consider When Buying a Woman’s Travel Backpack? Start with the obvious question. What will you use it for? The length and type of trip should of course influence your choice. If your preference is for trekking and adventure, then a hiking-specific pack would be best and conversely, if you generally spend more time in airports and hotels then go for a more luggage-like option. It is easy to get carried away with size, there are some huge packs out there, but how big should you go? Check out my Backpacking Essentials Guide to help plan what you take efficiently and cut down on the size of your load. If you are not sure, then consider an extendible or 2 in 1 pack. Again, strongly linked to the end-use you have in mind, but think about what is really useful for you. Large front or rear openings make it much easier to access your belongings. Think about storage, access and security of your valuables too – there’s nothing worse than having to repeatedly take off and put on a heavy pack every time you need your wallet or passport. If hiking and trekking are your focus, you may choose to forego some of the access benefits for more loops, straps and attachment points for items like trekking poles and sleeping mats. Above all though, fit and comfort are paramount – I’ve chosen mostly women-specific designs in this feature for good reason. The prettiest, easy to access, most versatile backpack will become a horrible, uncomfortable burden if it is not the correct size and fit for you. So there you have it, my guide to the best travel backpacks for women – happy travels!